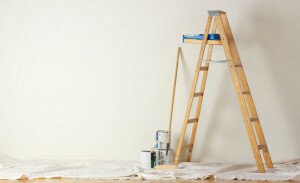 With the slight upturn in the economy, agents are once again finding that home buyers are buying to renovate, and there seem to be more people renovating their existing homes. This is according to Lanice Steward, managing director of Knight Frank Residential SA, who says the question to ask, however, when looking at the updated local Cape Town building (2011) and zoning regulations (2013), is what are the implications of buying to renovate? She says in some cases, buyers are demolishing the existing home on the property to build two units, which is now allowed, but the effects of doing this need to be checked thoroughly before embarking on a project like this. While densification does fit in with the City of Cape Town’s need to remedy the shortage of housing, this should be done with sensitivity and thought to the look and feel of the renovation, says Steward. If you are buying to renovate, the most important thing to remember is that the money spent on the renovations must add value to the completed home, she says. Frequently, many badly thought out renovations are carried out, where costly changes have been made but when the owner comes to selling and is looking to cover the costs of the upgrades, he finds that he doesn’t have the right value add, she says. For example, if a buyer is considering building rooms such as a sewing room or craft room off the main bedroom (which is a personal and unique use area), he should consider putting this room in a central position so that it can be used in an alternative way by future home buyers later on. Another example is when a home that was once a four bedroom family house is converted into a two bedroom home because the owners want larger proportions and, perhaps dressing rooms in the bedrooms. If this is to be done, it should be with thought to how the new buyer might be able to turn it back into a four bedroom house, without too much cost or complication, she says. There is, too, a modern trend to create air-conditioned wine rooms that are features and placed in prominent places of the home. The placement of these needs careful thought because many have been built in such a way that they block off sections of living rooms or part of the entrance hall, which impedes the natural flow of the house. ← Should you sell or buy a home first?